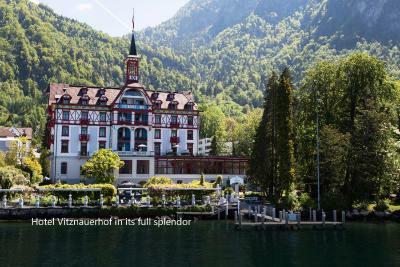 Lock in a great price for Hotel Vitznauerhof – rated 9.2 by recent guests! The view from the balcony of the room was amazing. Staff courteous. 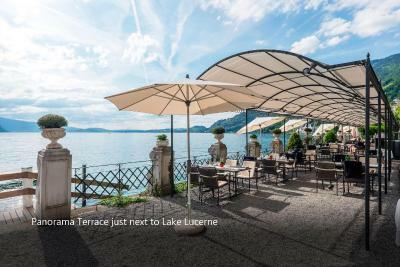 The location on Lake Lucerne, the view, ambience, charm, staff professionalism and friendliness, the cuisine, and 5-star resort attention to detail. This hotel is an absolute gem. 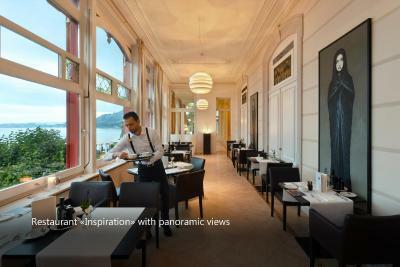 This was my second time staying at Hotel Vitznauerhof, and it continues to impress me. The views are beautiful, the rooms comfortable, and the staff goes above and beyond to accommodate your every need and answer every question with a smile. 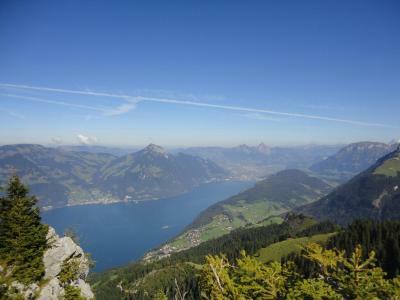 The location is a nice break from city life and the proximity to Mount Rigi and walking trails is perfect. I will be visiting again someday! 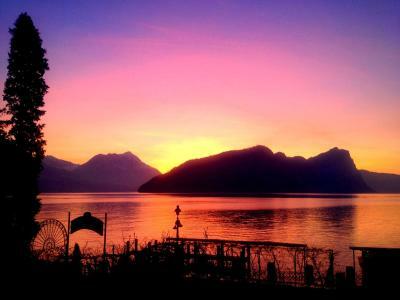 Overall we're perfect, the hotel located in a wonderful place beside the lake the view is amazing. I recommend my friends and family to stay. 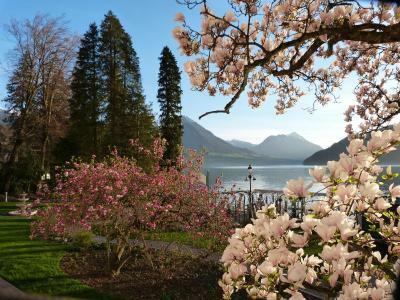 And it will always be my destination when traveling to Interlaken. This is my fourth visit and I absolutely love it every single time. 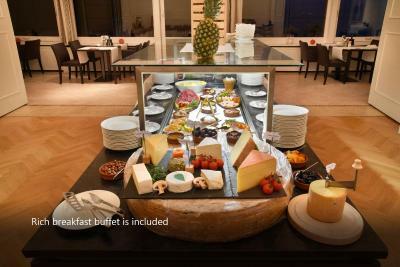 Staff is very friendly, breakfast buffet with broad choices (and a veggie juicer for all the juicer fans) and the spa is small but offers everything you need. In summer there is complimentary use of the Stand Up Paddle boards and the park is perfect for a day swimming with a picturesque view and reading on the comfy sunbeds (there is also enough shade from the beautiful old trees in the park). The staff were very welcoming and all around fantastic. The hotel is right on Lake Lucerne and the views are terrific. 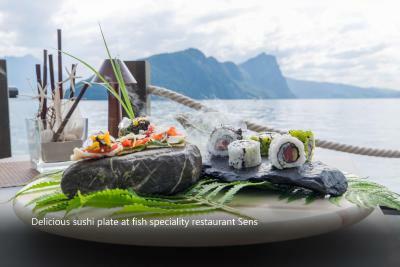 The restaurant is also right on the waterfront. The property overall is very nice, updated, and clean. 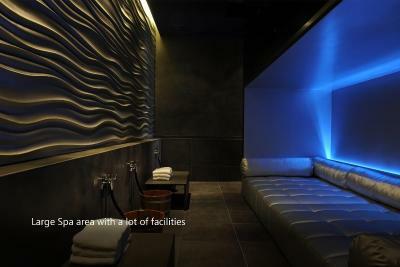 They have a spa on site, with exercise, quiet areas, men's and women's locker rooms, massage rooms, etc. Traveling to and from the hotel was mostly by boat, which was cool. I got an app that managed all the schedules and tickets, which I used every day. 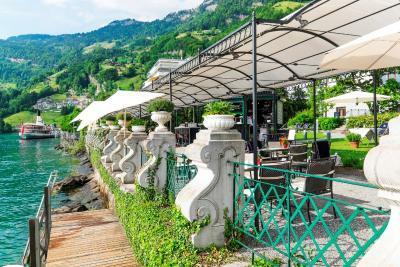 The hotel is at the shore of the lake and has a beautiful garden where you can spend the afternoon sunbathing and swimming in the lake after a great hike in the mountains. 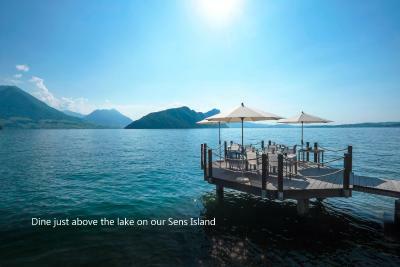 The location of the hotel is perfect. Breakfast is very good. 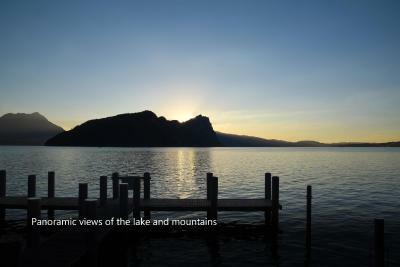 I stayed in a room with mountain view which is nice too but enjoyed the view form the garden a lot. 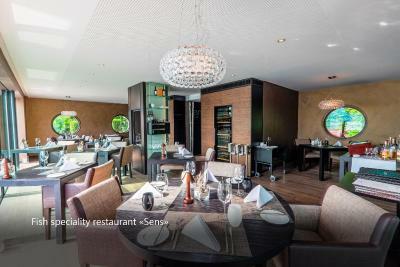 Hotel Vitznauerhof This rating is a reflection of how the property compares to the industry standard when it comes to price, facilities and services available. It's based on a self-evaluation by the property. Use this rating to help choose your stay! 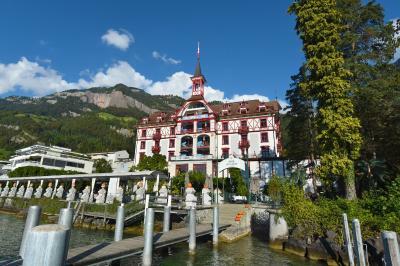 The Hotel Vitznauerhof is located at the foothills of Mount Rigi on the shores of Lake Lucerne, in the heart of Central Switzerland. 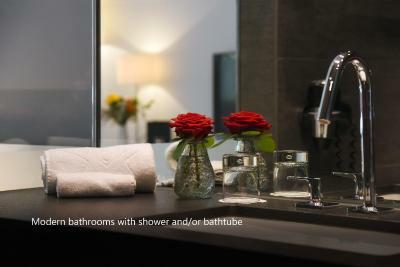 The bright and elegantly furnished rooms and suites have free access to Wi-Fi. 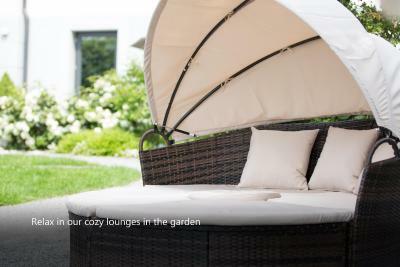 Spa facilities include an outdoor hot tub in the garden, a sauna, a steam bath and fitness facilities. Massages and other treatments are available as well. 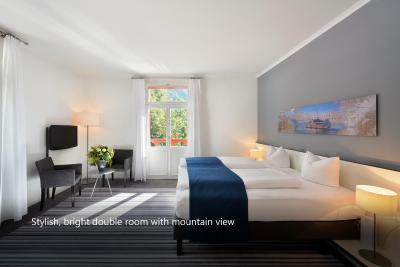 All of the carefully designed rooms at Vitznauerhof Hotel feature LCD TVs and entertainment equipment. The bathrooms come with fluffy robes and slippers. 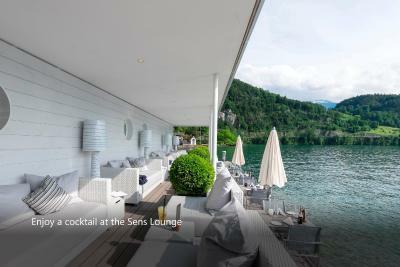 Panoramic views of the lake can be enjoyed from all 3 restaurants, from the bar and from the terrace. 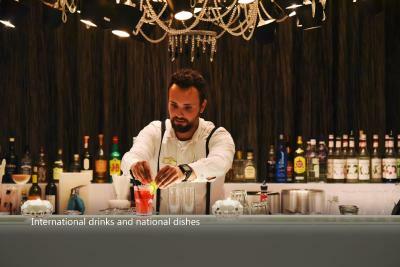 They serve gourmet Swiss and international cuisine. 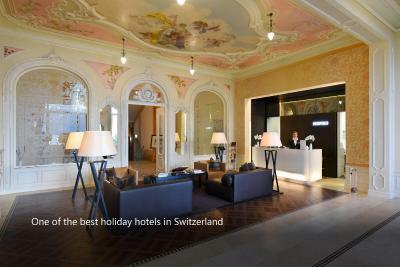 When would you like to stay at Hotel Vitznauerhof? 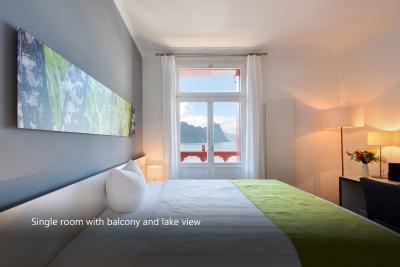 Stylish, light-flooded single room with panoramic mountain views. Some rooms come with a balcony. 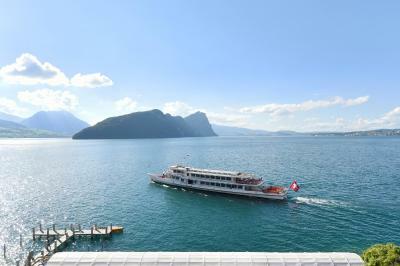 Stylish, light-flooded double room with panoramic views of Lake Lucerne. 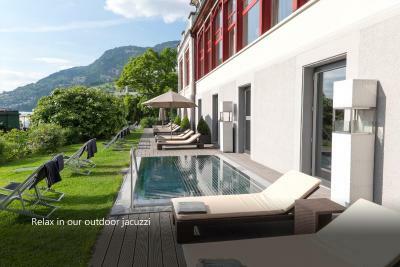 Stylish, light-flooded double room with panoramic mountain views. Some rooms come with a balcony. 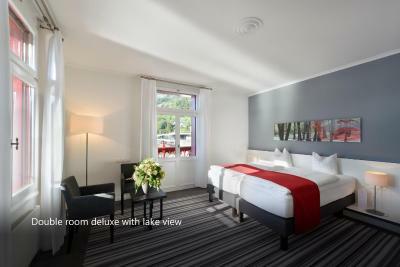 Stylish, light-flooded and spacious junior suite with a balcony, panoramic mountain views and partial lake views. This junior suite features 2 bathrooms and a separate living room with a sofa. 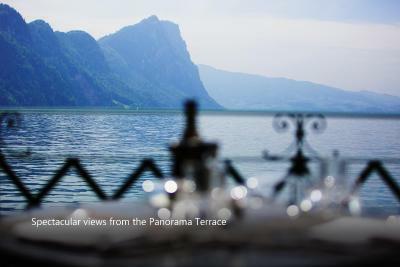 Stylish, light-flooded single room with a balcony or a terrace and panoramic views of Lake Lucerne. 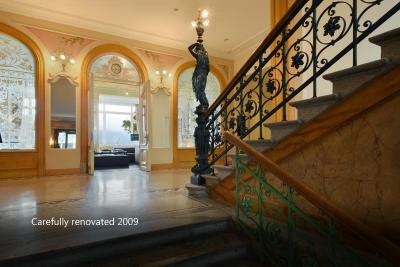 Stylish, light-flooded and spacious duplex suite on 2 floors. 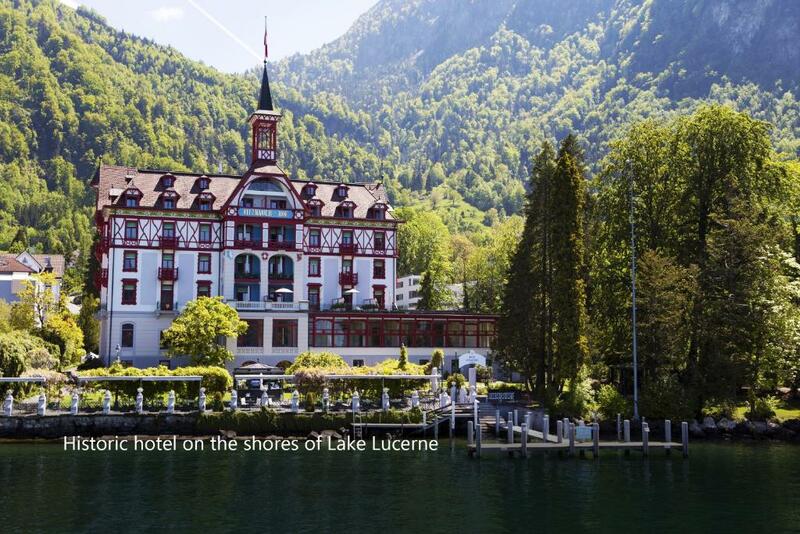 This suite features a loggia and panoramic views of Lake Lucerne. 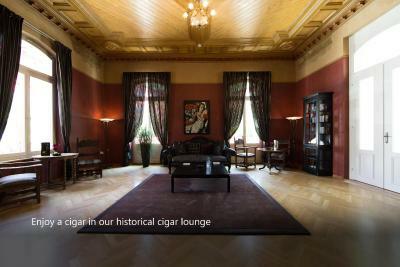 The suite features 2 bathrooms and a separate living room with a sofa. 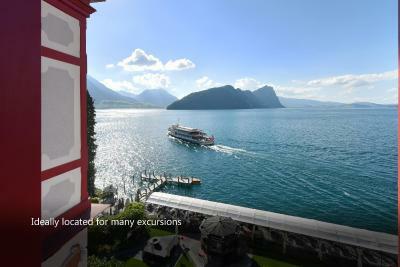 Stylish, light-flooded and spacious deluxe double room with a balcony, a loggia or a terrace and panoramic views of Lake Lucerne. Stylish, light-flooded and spacious double room on 2 floors. 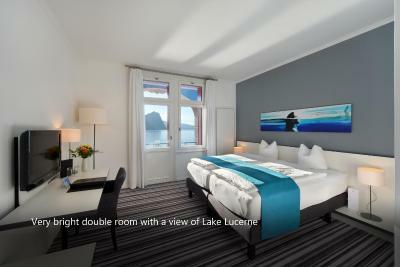 This room features a balcony with panoramic views of Lake Lucerne, 2 bathrooms and a separate living room with a sofa. 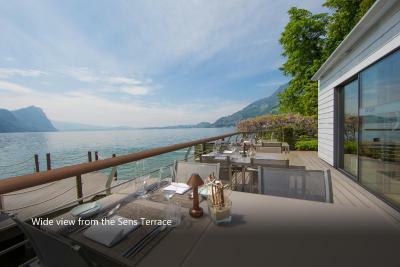 Stylish, light-flooded and spacious duplex suite on 2 floors with a terrace, a loggia and panoramic views of Lake Lucerne. This suite includes 2 bathrooms and a separate living room with a sofa. 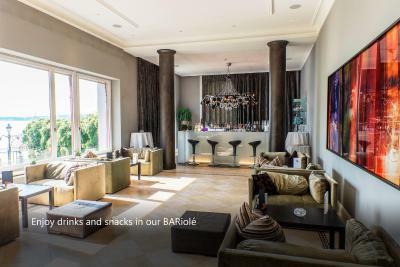 House Rules Hotel Vitznauerhof takes special requests – add in the next step! One child from 4 to 6 years is charged CHF 25 per person per night when using existing beds. One child from 7 to 11 years is charged CHF 55 per person per night when using existing beds. 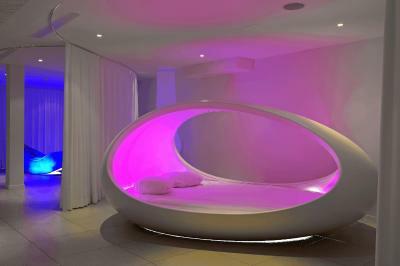 One child from 12 to 16 years is charged CHF 85 per person per night when using existing beds. 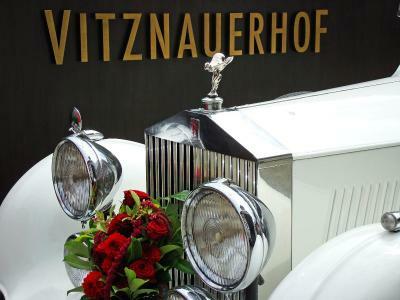 Hotel Vitznauerhof accepts these cards and reserves the right to temporarily hold an amount prior to arrival. STAFF WERE UNTRAINED AND UNDER MANAGED! There were problems with the hot water on two out there nights spent there. No air-conditioning. No English speaking channels on TV. The hotel is my dream hotel! The lecation is excellent! Enjoyed a lot the garden and the lake! 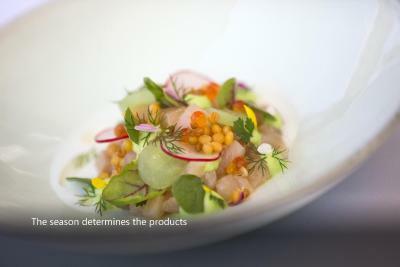 The terrace of the restaurant is genius!! 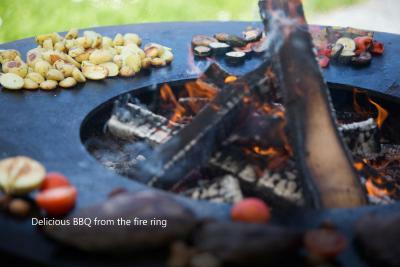 Very friendly stuff and professional service! 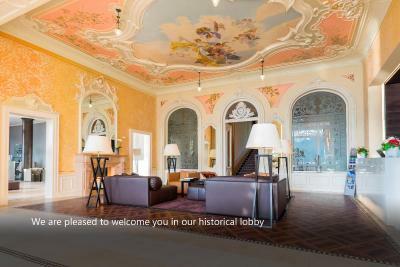 An impressive stay with Vitznauerhof!!! A bit sterile and quite expensive, especially restaurant and bar, but this is Switerland after all..... Not a lot to do in the vicinity except Rigi and Lake steamers. We stayed 20 hours on way back from vacation. 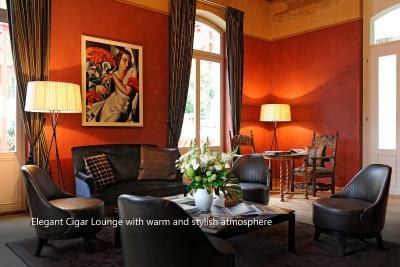 Very nice building, clean and proper room and facilities, including wellness and spa. Got upgrade to room with big balcony and superb view. We swam in the lake two times! Special experience. 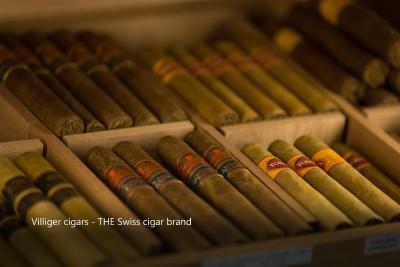 Staff is very friendly and professional. What left us with a slighter negative note was that we were not told in advance the extra cost for the children. It was 50 franc for my 9 years old and 25 for my 6 years old which added 75Franc per day to our total bill and we were there for 3 days. Bookings.com mentioned that the extra bed cost were not included but we had no idea it was calculated per child and that it will turned out that much more. We stayed in the junior suite with our two children and the size of the room and the two bathrooms meet our requirements. We had a nice side view to the lake which was not too bad as the lake view gets direct sunlight and can become quite hot during the summer day (my mother stayed in a lakeview room). 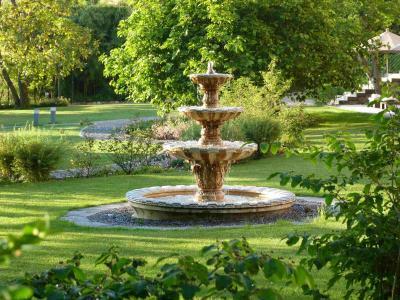 We love the little garden at the front and swam in the lake every late afternoon. We were surprised to find out that the rooms did not have AC. 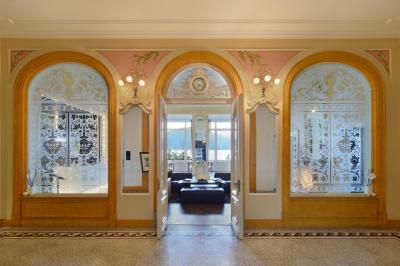 Guest need to walk down to ground floor to the lake. Nice hotel with clean and comfortable room.